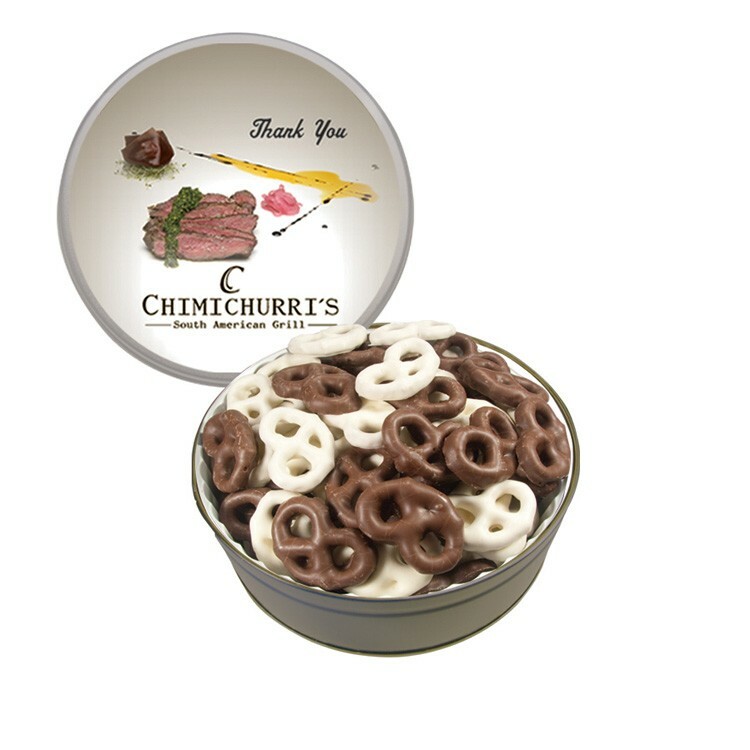 The Royal Tin features a plentiful amount of Chocolate Covered Pretzels to satisfy your biggest critics. Comes printed with a 1-color direct imprint on the lid (solid-color tins), or a greeting card (designer tins). You can also add a 4-color process laminated decal to the lid of any of our solid-color tins. Other fills include Hershey Candies, Reese's Cups, M&M's, Mixed Nuts, Caramel Popcorn, Pistachios, Cashews, Starlite Mints, Jelly Beans, Hard Candy, Chocolate Pretzels, and Gourmet Cookies.